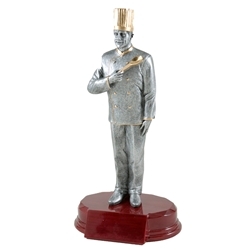 7.25" Male Chef Trophy. These chef trophies are perfect for any cooking event. This beautiful award is made of resin on a rosewood finished base.